Due to Charitable Co-Venture Laws, Residents of AL, IL, HI, ME, MA and SC are not Eligible to Enter Online ~ but can find me in person. CONSUMER DISCLOSURE: YOU HAVE NOT YET RECEIVED THE "Mayan Ocean 13" STARSEED. EACH DONATION OF $5 IS NECESSARY TO ENTER OPPORTUNITY DRAWING.. MULTIPLE DONATIONS WILL IMPROVE YOUR OPPORTUNITY TO RECEIVE THE STARSEED. THE FOLLOWING OPPORTUNITY GIVEAWAY IS INTENDED FOR THE UNITED STATES ONLY. DO NOT ENTER BE HEADY GIVEAWAY IF YOU ARE NOT LOCATED IN THE UNITED STATES. BuehlerHeadShop & Custom Good's "Be Heady" Giveaway (the “Giveaway”) is open only to legal residents of the United States who are at least eighteen (18) years of age. Online Entry Not open to Residents of AL, IL, HI, ME, MA, SC Entrants must submit all required information to be eligible to win. Entries missing required information will be disqualified. Required information will be clearly marked on the entry form by an asterisk (“*”). Subject to all applicable federal, state, and local laws and regulations. Participation in this Giveaway constitutes entrant’s full and unconditional agreement to abide by these Official Rules and Sponsor’s decisions, which are final and binding in all matters related to the Giveaway. Winning any of the prizes offered is contingent upon fulfilling all requirements set forth herein. The Giveaway begins on or about February 14, 2015 @ 12:00:00:01 am Eastern Time and ends April 14, 2015 @ 12:00:00:01 am Eastern Time (the “Promotion Period”). Eligible entries must be received on or before April 14, 2015 to be eligible. 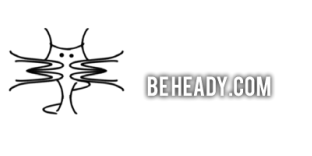 Enter by going to the “Official Entry Form” tab on Beheady's page located at www.beheady.com (the “Giveaway Website”). To enter, Donate $5 to Trees, Water, People and fill out the form on or before April 14, 2015 to be eligible. Each entrant will receive one (1) entry for a chance to win a "Mayan Ocean 13" StarSeed signed by Over 100 musicians! Enter with Sponsor in person at Events "Mayan Ocean 13" StarSeed Give-Away Attends Promoting The Tree Planting Project. Entrants may enter as many times as they would like. Each Entry Requires a separate donation. Sponsor has no obligation to advise an entrant of an incomplete or otherwise non-compliant entry. Sponsor is not responsible for lost, late, invalid, unintelligible, incomplete, garbled, or misdirected entries, which will be disqualified. No mailed, telephoned, faxed, or mechanically reproduced entries will be accepted. Proof of submission of an entry will not be deemed proof of receipt. In the event of a dispute as to any entry, Sponsor has right to decide outcome. All eligible entries received will be entered into the Giveaway drawings. One Person who Donated will be randomly selected on or about 4:20 pm (EST) on April 20, 2015. Each entrant is responsible for monitoring his/her e-mail account for prize notification and receipt or other communications related to this Giveaway. If a potential prize winner cannot be reached by Sponsor within fifteen (15) days, using the contact information provided at the time of entry, or if prize is returned as undeliverable, that potential prize winner shall forfeit the prize. Upon the request of the Sponsor, the potential winner may be required to return an Affidavit of Eligibility, Release and Prize Acceptance Form and IRS W-9 form. If a potential winner fails to comply with these official rules, that potential winner will be disqualified. Prizes may not be awarded if an insufficient number of eligible entries are received. The names of the winners may be obtained by sending a self-addressed, stamped envelope postmarked by December 31, 2015 to: BuehlerHeadShop Custom Goods, LLC, ATTN: "Be Heady" Giveaway, buehlerhead@yahoo.com Sponsored and administered by BuehlerHeadShop & Custom Goods LLC. Prizes are non-transferable and no substitution will be made, except at the Giveaway Entities’ sole discretion. Allow 10-12 weeks for prize delivery. Winner is responsible for all taxes and fees associated with prize receipt and/or use, if applicable. Odds of winning a prize will depend on the total number of eligible entries received during the Promotion Period. Except where prohibited, participation in the Giveaway constitutes entrant's consent to Giveaway Entities and their agents to the use of name, likeness, photograph, voice, opinions and/or hometown and state for promotional purposes in any media, worldwide, without further payment or consideration. laws of the State of Delaware. All disputes arising from or in connection with this Giveaway shall be settled by arbitration which shall be conducted in Wilmington, Delaware. The Giveaway Entities’ failure to enforce any term of these Official Rules shall not constitute a waiver of that provision. erroneously deleted, lost, or otherwise destroyed or corrupted, entrant’s sole remedy is another entry in the Giveaway, provided that, if it is not possible to award another entry due to discontinuance of the Giveaway, or any part of it, for any reason, the Giveaway Entities, in their sole discretion, may elect to hold a random drawing from among all eligible entries received up to the date of discontinuance for any or all of the prizes offered herein. No more than the stated number of prizes listed above will be awarded. All trademarks and trade names mentioned herein are the trademarks and trade names of their respective owners and are used herein for identification purposes only, and does not represent an endorsement or sponsorship of the contest. Don't Forget to Spread the Word to your Friends!